The de la Cruz Collection is a privately-funded collection of contemporary art which is open to the public. 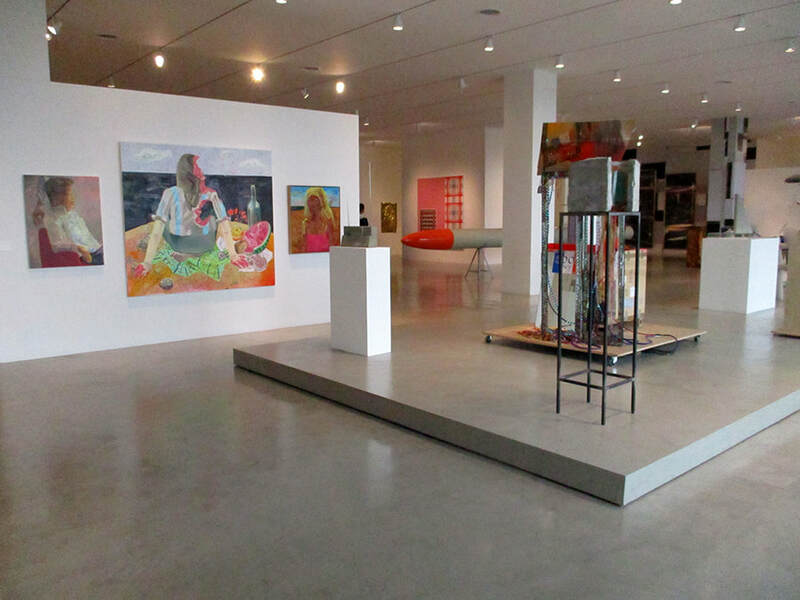 The Collection's roots can be traced back to the late 1980s when Rosa and Carlos de la Cruz began collecting art. As the collection grew, they began allowing people to to view the works by appointment their in their home in Key Biscayne. 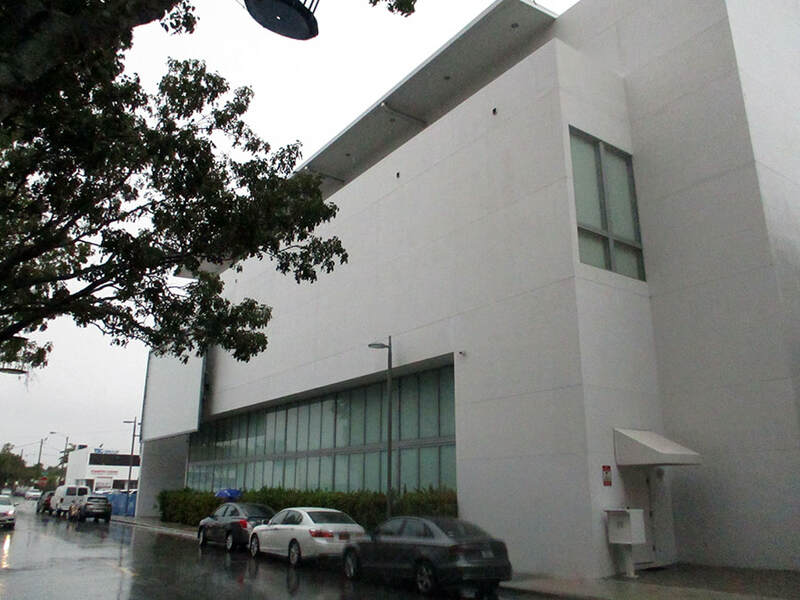 In 2001, Rosa de la Cruz founded Moore Space, which, among other things, held exhibitions of contemporary art in Miami. This experience led the de la Cruzs to consider creating a museum to display their own collection. Those plans became a reality in 2009. Naturally, the collection reflects the tastes of the collectors but it is wide in scope including paintings, works on paper, sculptures and conceptual installations. Most of the works are by American artists but the Collection is also strong in contemporary German art. The majority of the works are abstract or modernistic. However, the Collection includes an excellent portrait by Salvatore Dali that is relatively more traditional in style. 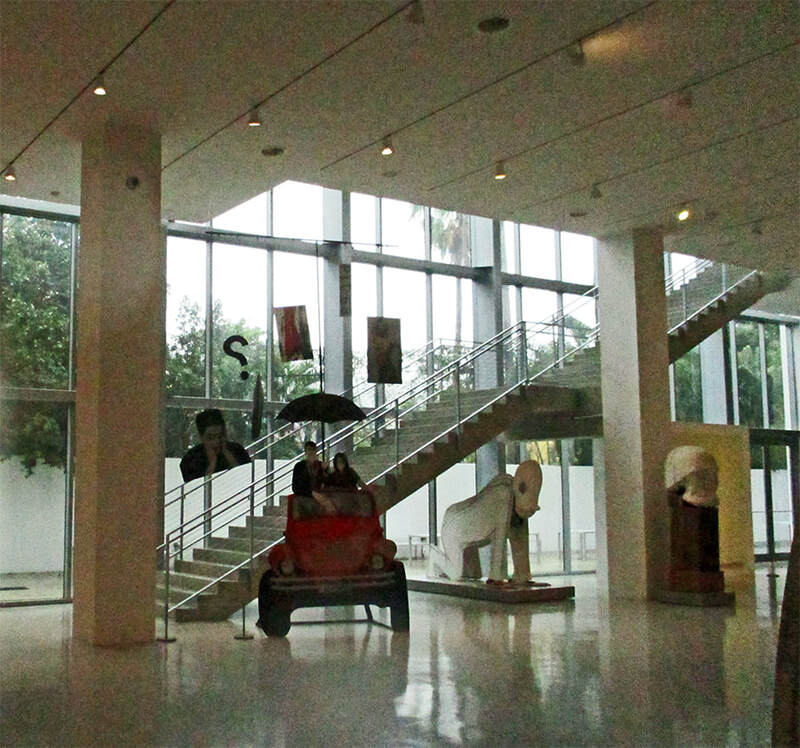 The museum is housed in its own building in Miami's trendy Design District. It is just down the street from the Institue of Contemporary Art. Designed by John Marquette, the 30,000 square foot building has three floors of exhibition space. The rear wall of the building is nearly all glass and so there is considerable natural light in addition to the building's own lighting. First time visitors may have some difficulty identifying the building. The exterior is plain white and is unencumbered by signs. Indeed, what appears to be a large empty frame for a billboard is actually a work of art. At the front door, there is a small sign instructing visitors to push the doorbell to gain admission. Once inside, a member of the museum staff welcomes you and provides some background on the Collection. There are staff members on each of the three floors to answer questions. In addition, there are leaflets on each floor with information about the various works of art on that floor. Although it is a large building, it is not big enough to display the entire collection. Accordingly, the works on display are changed periodically. In addition to its exhibitions, the de la Cruz Collection holds lectures about art, has workshops and provides scholarshis. For more information on visiting, see the de la Cruz Collection website.